Stunning views of the surrounding countryside make the towering Rock of Dunamase a strategic place to build a fortress. 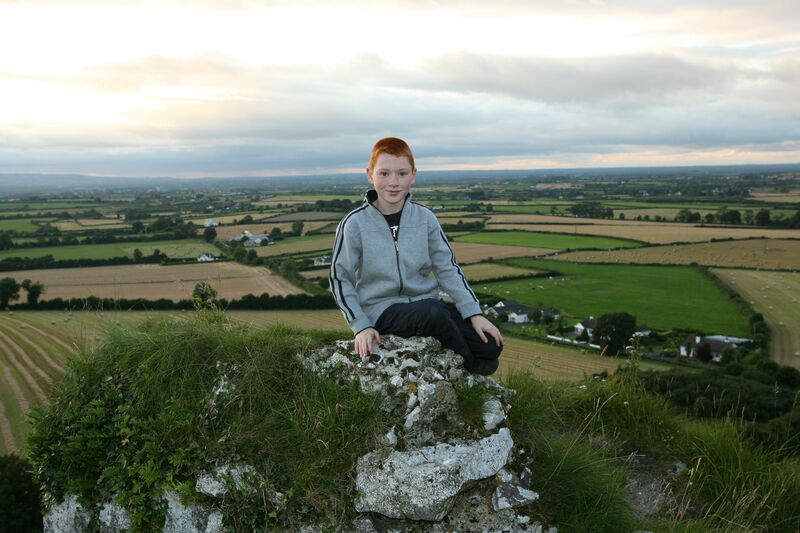 Through the centuries, warriors have fought to control this limestone outcrop, known as a “hum”. The first known settlement on the rock was Dun Masc, or Masc’s Fort, an early Christian settlement that was pillaged in 842 by the Vikings. When the Normans arrived in Ireland in the late 1100s, Dunamase became the most important Anglo-Norman fortification in Laois. It was part of the dowry of Aoife, the daughter of Diarmuid Mac Murrough, King of Leinster, when she was given in marriage to the Norman conqueror Strongbow in 1170. When Isabel, the daughter of Strongbow and Aoife, wed William Marshal, Earl of Pembroke, Dunamase was part of her marriage portion. It is likely that Marshall carried out some building on the rock when he lived there between 1208 and 1213, though most of the castle is earlier. The castle was successively held by Marshal’s five sons before passing to the Mortimer family through Marshal’s daughter, Eva de Braoise, who passed the castle to her daughter Maud on her marriage to Roger Mortimer. All the Mortimer’s lands, including Dunamase, were forfeited to the Crown in 1330. Shortly afterwards, the castle appears to have passed into the hands of the O’Moores and been abandoned. Local tradition has it that the castle was besieged and blown up by the Cromwellian generals Hewson and Reynolds in 1651. While there are no contemporary records of these events, it is probably the best explanation for the ruinous state of the castle as we see it today. 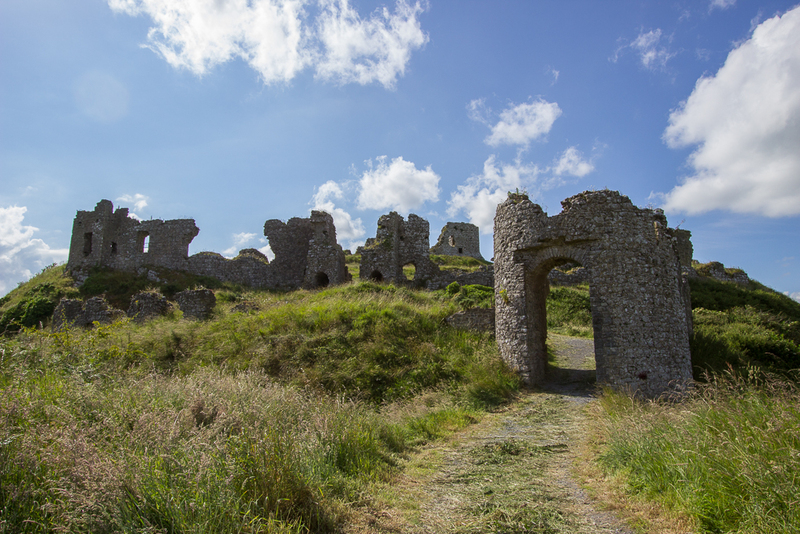 In 1795, Sir John Parnell, chancellor of the Irish Parliament, tried to develop a residence and banqueting hall at Dunamase All the late medieval features such as windows and doors were taken from other ruins and added to the castle at this time. When Parnell died, his son allowed the buildings to fall into decay. Today the ruins on the Rock of Dunamase are managed by the State. Archaeological excavation and conservation work by the Office of Public Works have ensured that the Rock of Dunamase will survive for further generations to explore.